AFC Bournemouth have extended the loan of Southampton goalkeeper Artur Boruc until the end of the season. Poland international Boruc, 34, has kept nine clean sheets in 18 games since joining the club in September. 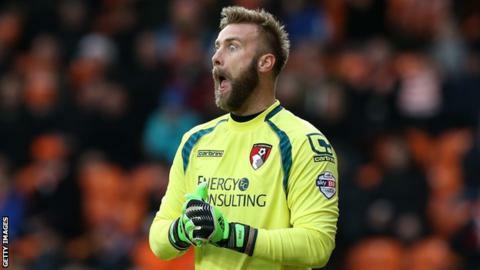 But Boruc will not be able to play in Bournemouth's FA Cup tie with Rotherham as the transfer window opens on the morning of the match. Since Boruc's arrival, Eddie Howe's Cherries have won 13 games and gone top of the Championship table. "I can see that everyone at this club believes in the things they're doing," Boruc told the club website. "If you believe and you work your socks off to make your dreams come true, it can happen. I can see it in this team and everybody in the club is heading in the same direction. "I'm pleased I'm here and that I'm part of a great team, and that's why I'm staying until the end of the season."